Meade and Lee After Gettysburg covers the often overlooked period repairing the armies after Gettysburg, coping with an epidemic of desertions and home front disenchantment, and a host of logistical and strategic dilemmas. Jeffrey Hunt’s Meade and Lee After Gettysburg: The Forgotten Final Stage of the Gettysburg Campaign, from Falling Waters to Culpeper Court House, July 14-31, 1863 exposes for Civil War readers what has been hiding in plain sight for 150 years: The Gettysburg Campaign did not end at the banks of the Potomac on July 14, but deep in central Virginia two weeks later along the line of the Rappahannock. Contrary to popular belief, once Robert E. Lee’s Army of Northern Virginia slipped across the swollen Potomac back to Virginia the Lincoln administration pressed George Meade to cross quickly in pursuit—and he did. Rather than follow in Lee’s wake, however, Meade moved south on the east side of the Blue Ridge Mountains in a cat-and-mouse game to outthink his enemy and capture the strategic gaps penetrating the high wooded terrain. Doing so would trap Lee in the northern reaches of the Shenandoah Valley and potentially bring about the decisive victory that had eluded Union arms north of the Potomac. The two weeks that followed was a grand chess match with everything at stake—high drama filled with hard marching, cavalry charges, heavy skirmishing, and set-piece fighting that threatened to escalate into a major engagement with the potential to end the war in the Eastern Theater. Throughout, one thing remains clear: Union soldiers from private to general continued to fear the lethality of Lee’s army. Meade and Lee After Gettysburg, the first of three volumes on the campaigns waged between the two adversaries from July 14 through the end of 1863, relies on the Official Records, regimental histories, letters, newspapers, and other sources to provide a day-by-day account of this fascinating high-stakes affair. The vivid prose, coupled with original maps and outstanding photographs, offers a significant contribution to Civil War literature. Thanks to Hunt these important two weeks—until now overshadowed by the battle of Gettysburg and almost completely ignored by writers of Civil War history—have finally gotten the attention they have long deserved. Readers will never view the Gettysburg Campaign the same way. Jeffrey William Hunt is Director of the Texas Military Forces Museum, the official museum of the Texas National Guard in Austin, Texas and an adjunct professor of History at Austin Community College, where he has taught since 1988. He had also served for many years as the Curator of Collections and Director of the Living History Program at the Admiral Nimitz National Museum of the Pacific War in Fredericksburg, Texas. Jeff holds a Bachelors Degree in Government and a Masters Degree in History, both from the University of Texas at Austin. He is the author of several books on the Civil War, including the critically acclaimed Meade and Lee After Gettysburg: The Forgotten Final Stage of the Gettysburg Campaign, from Falling Waters to Culpeper Court House, July 14-31, 1863. "What we know about the operations of Robert E. Lee’s and George Gordon Meade’s armies from the time they recrossed the Potomac River after Gettysburg to when they came to rest in and around Orange and Culpeper Counties in Virginia is negligible. Jeffrey Hunt has stepped in to masterfully fill that yawning gap. In his carefully researched and beautifully written Meade and Lee After Gettysburg, Hunt—for the first time—offers a remarkable glimpse, incorporating incredible detail, of the two weeks of maneuver and combat through places like Shepherdstown, Loudoun Valley, Wapping Heights, Culpeper, and many other sites. I absolutely love it and heartily recommend it. " "The period between Gettysburg and the Wilderness Campaign in May 1864 is one of the least explored aspects of the Civil War. Jeffrey Hunt’s impressive new study fills this gap in the literature, demonstrating why Union forces failed to follow through on their success at Gettysburg and highlighting the remarkable resiliency of Lee’s Confederate army. 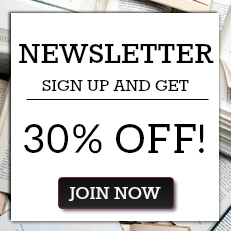 Even veteran readers will find much fresh material in this narrative." "Meade and Lee After Gettysburg is a blast of fresh air for Civil War students. Hunt demonstrates conclusively that the Gettysburg Campaign did not end with Lee’s crossing of the Potomac on July 14, but on August 1 along the Rappahannock line deep in Virginia. This interpretation is original and thoroughly convincing." 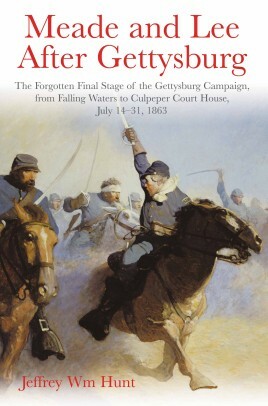 "Jeffrey Hunt’s Meade and Lee After Gettysburg is the first detailed modern tactical treatment of the two weeks after the ‘official’ end of the Gettysburg Campaign, and focuses particularly on the cavalry battle at Harpers Ferry on July 15 and the fighting at Manassas Gap on July 23-24. This book, the first of three on the fall 1863 campaigns between Lee and Meade, sets the stage for the harder campaigning that fall and is essential to understanding those campaigns. For students interested in what happened after the armies crossed the Potomac River, this is a must-read." "Finally, someone has addressed the gap in the scholarship between July 14 and August 1, 1863! Hunt describes in detail the opportunities for engagement that Lee’s retreat into the Shenandoah Valley presented Meade’s army, and how some of the ‘risk averse’ Union generals failed to engage the Rebels until it was too late. It is all reminiscent of what had taken place at Williamsport just a few days earlier, and was destined to repeat itself in the coming months."